Growing up with dogs, I always knew that eventually I wanted a furry companion to call my own. After years of stalking dogs on Instagram, “oohing” and “aahing” over pups on their daily walks, and of course, constantly being amused by Lulu, the marlo marketing office dog…I knew it was time I had my own canine best friend. Luckily, for others in the same predicament, a Brazilian company has created a new mattress with a built-in bed. My thoughts? Pure genius. 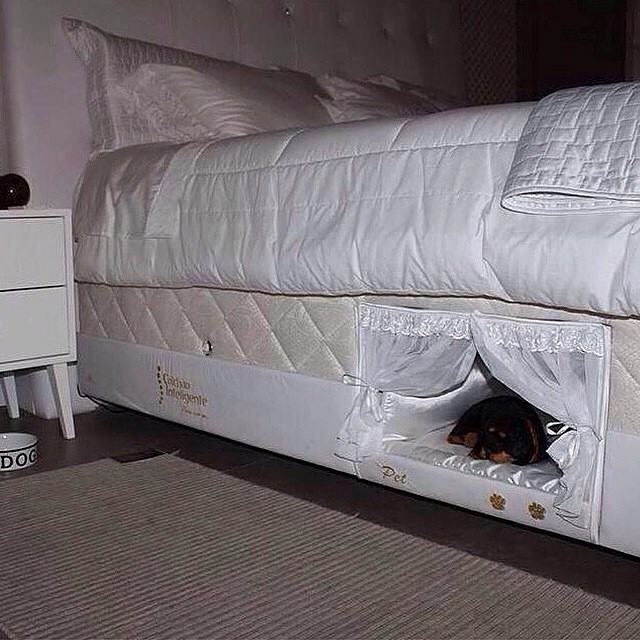 The mattress comes with a cozy nook for your dog to slumber in every night. Because while we all love to keep our fur babies close, sometimes they can get a little too close – problem solved!